Welcome to my website featuring custom art commissions. I hope you find something interesting for your lifestyle, decorating desires. 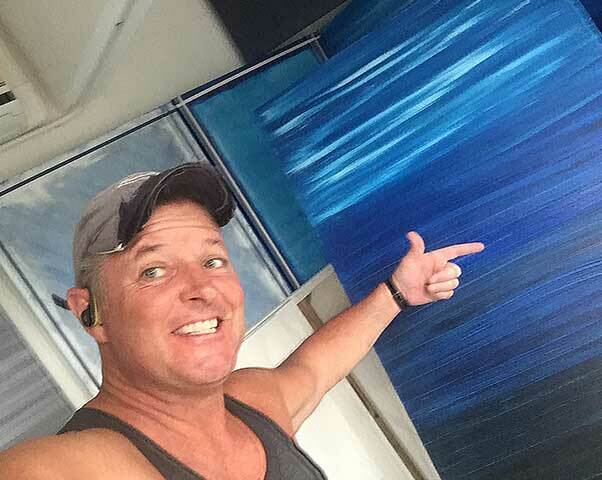 If you are interested in commissioning a piece of art made especially for you and your space, I would encourage you to have a look at some of my previous works and see if there’s a ‘style’ that you like. If so, then all you have to do is tell me or send me the colour (s) that you would like and what size canvas you require. Leave the rest to me! If there is a theme that you would like me to try and capture,, then please go ahead and suggest. One of my first commissions was for a lady who wanted to feel like she was waking in the jungle… I did one large and two medium sized canvasses for her in shades of green, which reflected a jungle like scene… though still abstract. I have a great shipper here who has a wonderful packaging service and great connections abroad to get the works to you quickly and safely. So far I’ve sent to the UK and to the South of France with no hiccups. I hope to hear from you and that we may be able to do some work with you in the near future.